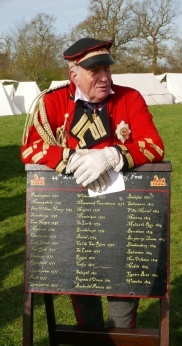 Colonel James Long, then of the of the Grenadier Guards, was commissioned as Colonel of the 55th Regiment of Foot on 7th January 1741 and commanded to raise a Regiment. This regiment kept the number 55 until the conclusion of the war with the treaty of Aix-la-Chapelle in 1748. Where, upon the cessation of hostilities, the ten marine regiments numbered 44 to 53 were disbanded and the regimental numbers assigned to those regiments next in line. 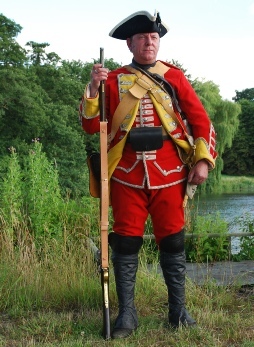 Thus in 1748, the 55th Foot became the 44th Foot, a designation it was to have until the territorial re-organisation of the army in 1881. It was to America that the regiment sailed in 1776 to participate in the American War of Independence. In 1793, Revolutionary France declared war on Britain and the Flank Companies of the 44th were sent to the West Indies where they participated in the seizure of Guadeloupe, whilst the Battalion Companies fought in the Lowlands and at one stage were brigaded under Sir Arthur Wellesley in his first experience of active warfare. Following tours in the West Indies and the Mediterranean, the Regiment were selected for inclusion in General Abercromby’s expedition to Egypt in 1801. A successful campaign resulting in the defeat and eviction of the French from Egypt, won the regiment its first Battle Honours and the right to bear on the colours “The Sphinx” and “Egypt”.